Hello there! I am an approximately 4 year old Pit Hound mix and I am so happy to meet you with a wagging tail and TONS of kisses. I love people and other dogs! In fact, I do very much love playing with other dogs and would love to have a confident brother my size or bigger to romp around with like I have here right now. But because I like playing and chasing with those furry felines, I would need to be in a home without any kitties. I do also absolutely adore children. I have two of them right now! I am tolerant, loyal, eager to please, and smart. Speaking of smart’¦ my 9 year old girl loves to teach me tricks. I am such a fast learner that she taught me how to sit, shake, high 5, sit pretty, sit pretty and high 5 AT THE SAME TIME, and I am learning how to roll over too! I learned all this the first week I was here! And as an added bonus, I am already crate and potty trained too! A lot of things are new to me like car rides, walking on a leash, and busy streets. I am working really hard on all of these and doing really well but I think the city life would be a bit much for me. I would love to be able to live on a farm like the one here or a smaller rural area with a really big fenced yard since I do love to run and play. Since I still have more to learn to be the absolute best I can be, my current mom really wants me to be able to go to some training classes with my new family. She wants the best for me so bad that she says that she will refund $100 of my adoption fee if you show her the certificate that I completed training classes with you. I think it would be so much fun! 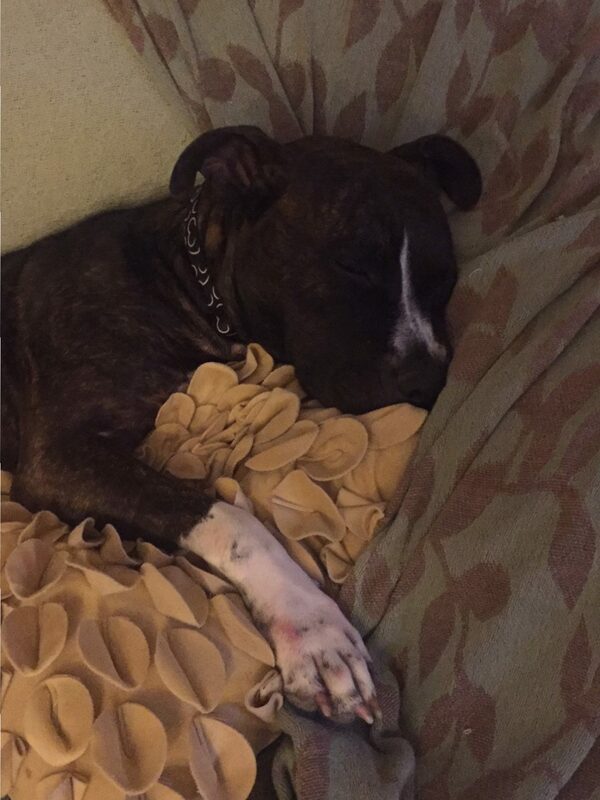 I love my warm bed in the house with my family and I have my own pillow that I absolutely love too. I really love snuggling on the couch and watching TV. I want to be with you whenever I can. I don’t want to be left home alone all the time either. I am definitely an INSIDE ONLY kind of gal that loves to be spoiled and smothered with affection. Literally, bring it on! Even though my family knew right away after bringing me home that I wasn’t going to be able to stay here forever because of the kitties, they decided to foster me and make sure that I was all recovered medically since I had some skin irritation in the beginning, and also got some much needed training on how to be even more awesome than I already was! They want to make sure that they help me find the best home ever since they know I really deserve it. They really love me so much and wish I could stay. I will get to bring my really expensive shampoo, ear cleaner, my monthly Interceptor Plus wormer/heartworm prevention and Nexgard flea prevention with me. As of right now I still have 5 months’ worth left! All of this with a $250 adoption fee. (And after we do some training classes we get $100 back you can use to go towards the crate I will need, soft bed and toys) And you get ME! 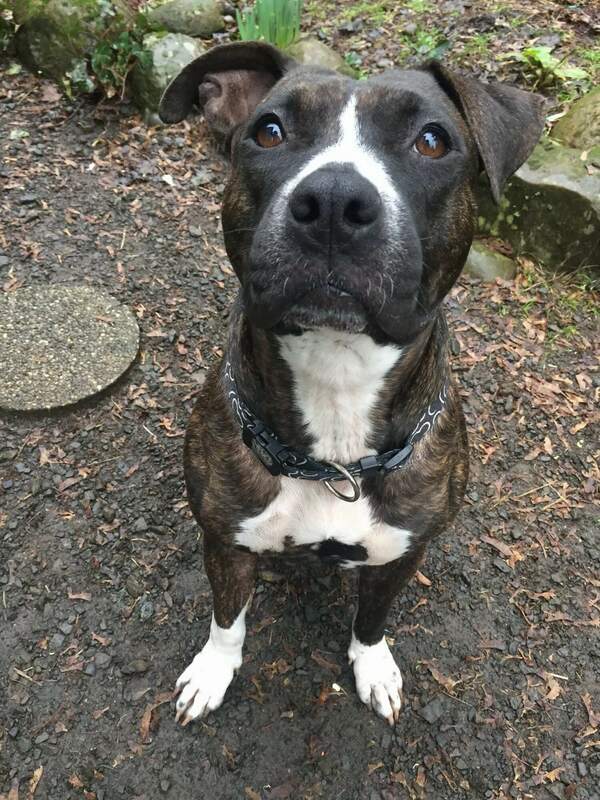 If you just know you can love me as much as my peeps that are loving me now do, and that you can continue to take care of me like they have, please call or text Jamie at 503-999-5884 or email her at mysweetbaby.je@gmail.com I can’t wait to meet you and find the perfect home!